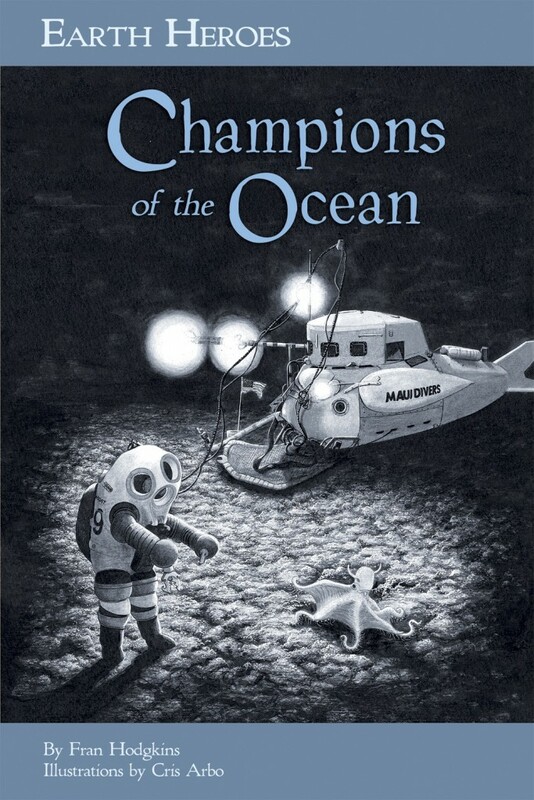 In the same spirit and format as the other titles in this series, Champions of the Ocean is a sound aggregation of the colorful characters who have fashioned the modern movement to explore, understand, and protect the earth’s oceans and its inhabitants. Readers meet naturalist William Beebe, sea turtle scientist Archie Carr, filmmaker Jacques-Yves Cousteau, friend-to-otters Margaret Wentworth Owings, Eugenie “The Shark Lady” Clark, whale advocate Roger Payne, “Her Deepness” Sylvia Earle, and Tierney Thys, guardian of the Ocean Sunfish. Like Champions of the Wilderness, several of these heroes had trying upbringings, facing discrimination based on their gender, ethnicity or even professional interest.